Yes, I am. ∕No, I am not. Eg. Is this your skirt? Yes, it is. ∕No, it isn’t. Eg. Is there any bread on the table? Yes, there is. ∕No, there isn’t. Eg. Can you speak English? Yes, I can. ∕No, I can’t. Eg. Do you like apple? Yes, I do. ∕No, I don’t. Eg. Do you want a cup of coffee? Yes, she has. ∕No, she hasn’t. Eg. When did you buy that car? (I bought it) one year ago. Eg. Whose is this shirt? Eg. What is that? That is a cat. What thanks do you give? 你说了什么感谢的话? What is the purpose of the meeting. 会议的目的是什么? What is the relationship between A and B? A 和B是什么关系? What is your dream? 你的梦想是什么? What happened to you ? 你发生了什么事? What decision did you make? 你做了什么决定? What suggestions∕advice∕tips ……do you give? “你的建议∕提示是什么?” = what is your suggestions∕advice∕tips? What university do you like to go to? 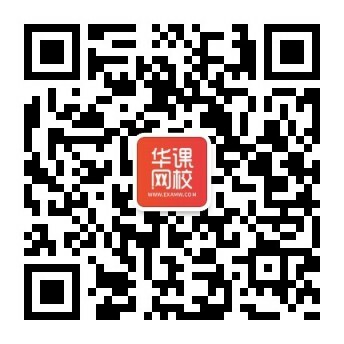 你想去什么大学? What test did you take yesterday? 你们昨天测试什么了? How much do you know about him? 你了解他多少? How much milk is in the bottle. 瓶子里还有多少牛奶? Eg. Which book is yours? 那本书是你的? Eg. Why was he late for school again? Why did you do that? Eg. Why don’t you go with us? 3.Has everybody got a sheet?每个人都拿到资料了吗? 6.Have I made myself clear?我讲明白了吗? 7.Could you say is again?你能再说一遍吗? 9.What do you call this in English?这个用英语怎么讲? 10.What is the color of you new book?你的新书是什么颜色的? 11.How big is your house?你的房子有多大? 13.Which is the right size?那个尺码是对的? 14.May I have your name?能告诉我你的名字吗? 15.What s your family name?你姓什么? 16.How do you spell it?它要怎么拼写? 17.Could you introduce me to her?你能够把我介绍给她吗? 18.What day is it today?今天星期几? 21.What will you do during this weekend?这周末你要做什么? 22.Does the shop open at 9 am on weekdays?这家店平时是早上九点开门的吗? 23.What will you do the day after on next?后天你要干嘛? 25.Do you have any brothers or sisters?你有兄弟或姐妹吗? 26.Do you have shampoo here?这里有香波买吗? 28.Whats the time by your watch?你的表几点了? 29.Can you finish your work ahead of time?你能提前完成工作吗? 31.Do you know the exact date?你知道确切日期吗? 32.How long will the sale last?折价销售持续多久? 33.Do you have an appointment?你有预约吗? 34.Would you wait here for a minute?您能在那里等一下吗? 35.Would you like something to drink?您想喝点什么吗? 36.How have you been these years?这些年你怎么样? 38.How long have you studied English?你学英语多久了? 39.Are you a native speaker of English?你的母语是英语吗? 40.Can you write in English?你能用英文写文章吗? 41.How can I improve my spoken English?我要怎样才能够提高英语口语? 42.What will you do this weekend?这周末你将干什么? 44.When do you get up everyday?你每天几点起床? 45.Where do you have you lunch?你在哪里吃午饭? 46.What do you have for lunch?你中午吃些什么? 47.What do you do at work?你上班干些什么? 48.What time do you finish you work?你什么时候下班? 49.What do you do in your spare time?你空闲的时候干些什么? 50.Hi, Jack , where do you live now?嗨，杰克，你现在住哪里? 51.How long have you stayed there?你在那里住多久了? 52.How about Mary? How long has she lived there?玛丽怎么样了?她在哪里住多久了? 53.Will you stay there for long?你会在那里待很长时间吗? 54.Where did you go for dinner yesterday?你们昨天去哪里吃的饭? 55.When will he come to see you?他什么时候来看你? 56.Who will accompany you to the airport?谁将陪你去机场? 58.Why not go out for a walk?干嘛不出去散步? 59.How did you doing spend you holiday?你假期是怎么过的? 60.How are you doing these days?这些日子你怎么样? 61.What did he say in the letter?他在信里说了什么? 62.What are you going to do with these books?你打算拿这些书怎么办? 63.What were you doing when I called?我打电话给你的时候你在干什么? 64.Can you guess what I was doing this morning?你能猜到今天早上我在干什么吗? 65..Whats the height of the building?这座楼有多高? 66.How much does the elephant weight?这头大象有多重? 67.What s the color of your new dress?你的新衣服是什么颜色的? 68.What s the size of your shoes?你的鞋多大尺寸? 69.What s the shape of your cake?你的蛋糕是什么形状的? 70.How wide is this bridge?这座桥有多宽? 71.How thick is the ice here?这里的冰有多厚? 72.How long do you watch TV every day?你每天看多长时间电视? 73.How often do you go swimming?你多久去游一次泳? 74.Could you please open the door for me?请你帮忙开个门好吗? 75.May I ask you a question?我能问你一个问题吗? 76.Could you do me a favor?能请你帮个忙吗? 77.Would you help me remove the refrigerator?能帮忙移一下冰箱吗? 78.Make me a cup of coffee ,will you?给我冲杯咖啡，好吗? 79.Could you tell me where I can find these books?你能够告诉我在哪里能找到这些书吗? 80.Would you mind closing the window for me?你介意关下窗户吗? 81.Excuse me ,how can I get to the bus station?打扰一下，汽车站怎么走? 82.Excuse me ,where is No. 5 Street?打扰一下，第五大街在哪里? 83.Which one is Mr. J a m e’s office?哪间是詹姆斯先生的办公室? 84.Can I use the lift?我能用电梯吗? 88.How long have you been married?你们结婚多久了? 89.What time are you going to leave for the airport tomorrow?你明天打算什么时候去机场? 90.Is he coming to dinner?他回来吃饭了吗? 91.What will you spend the evening?你晚上干什么? 92.What s your plan for the summer holiday?暑假计划干什么? 93.What will you do about it?你会拿这事怎么办? 94.Have you heard the weather forecast?你听天气预报了吗? 95.How are you feeling today?你今天感觉怎么样? 96.What do you think about it?你对此怎么看? 97.Do you have any idea?你怎么想? 98.Do you really want to know what I think?你真想知道我怎么想吗? 99.What do you plan to do tomorrow?明天你打算干什么?